The Farmers Elevator board didn’t need to look very far to find a new manager. 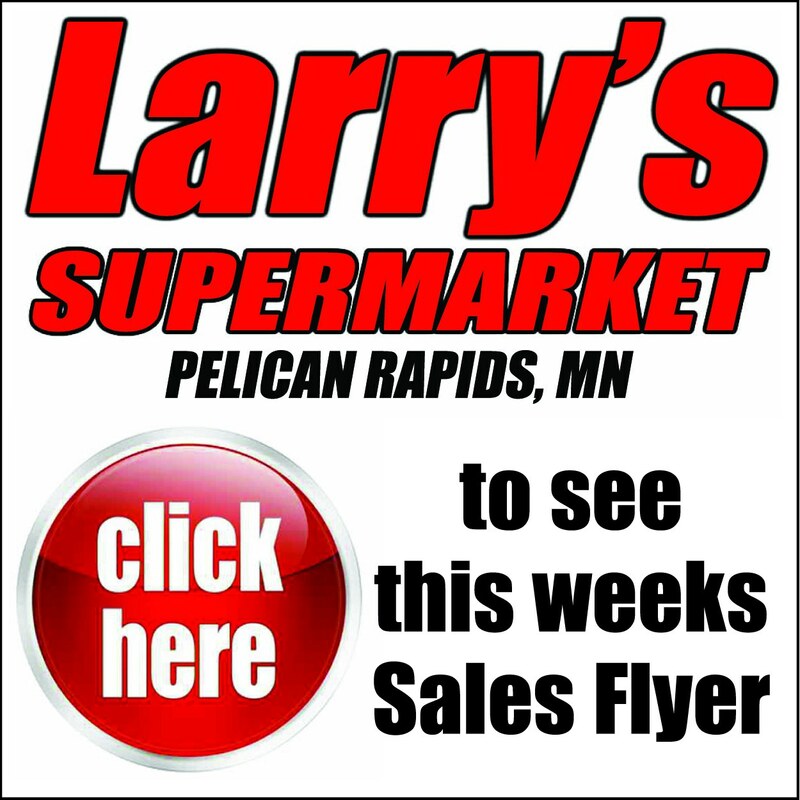 The guy who took over the largest agri-business operation in the general Pelican Rapids area was right in their midst. Peter Scott has been named general manager of the Farmers Elevator of Pelican Rapids. 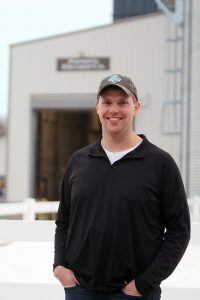 Scott has worked in the agronomy sales department for the elevator for the past two years, and worked part time prior to that while attending North Dakota State University. Peter Scott, who has worked at the elevator as a college intern, a seasonal part-timer and a full time agronomy sales representative over the past four years, has been named general manager. But a youngster–compared to most of the 200 duffers who are members of the Farmers Elevator of Pelican–the board, and Scott himself, believe his youthful enthusiasm will more than make up for his relative inexperience. 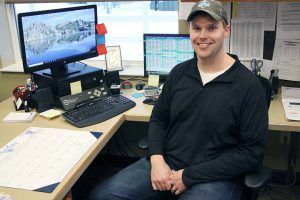 A 2012 Pelican Rapids High School graduate, and 2016 agribusiness and crop science grad at North Dakota State University, Scott will be head-first into an operation with more than $9 million in annual sales. Scott replaces Dave Dufault, who left in the new year after five years here. He took a position with Valley Ag Partners in the Dilworth area. No doubt, the elevator board was also attracted to the fact that the young man–with solid roots in the Pelican area–would “stick around for a while,” noted Scott. Married in December to a fellow Pelican Rapids High School graduate, Abby Ganyo, the couple is making their home a few miles north of Pelican. Abby, a 2017 animal science graduate at North Dakota State, is also working in the ag sector–as a live production supervisor for Jennie-O turkeys. Both have exposure to farming in their backgrounds, though Scott’s parents, Mark and Jackie (Shulstead) Scott sold out of the dairy business about 20 years ago. Scott’s grandfather, Thomas Shulstead, was a lifelong farmer west of town, in Norwegian Grove township. Scott takes the reins at the elevator during a difficult time in the agriculture sector. Corn prices are stable, said Scott, but soybean prices are very low. He anticipates some farmers planting more acreage in corn, and a possible uptick in wheat–though wheat has been a small segment of the elevators volume for many years. “The trade agreements need to happen sooner than later,” said Scott, regarding the trade and tariff “wars” that have disrupted ag exports–especially to the China market. Peter Scott, in his office at the Farmers Elevator. 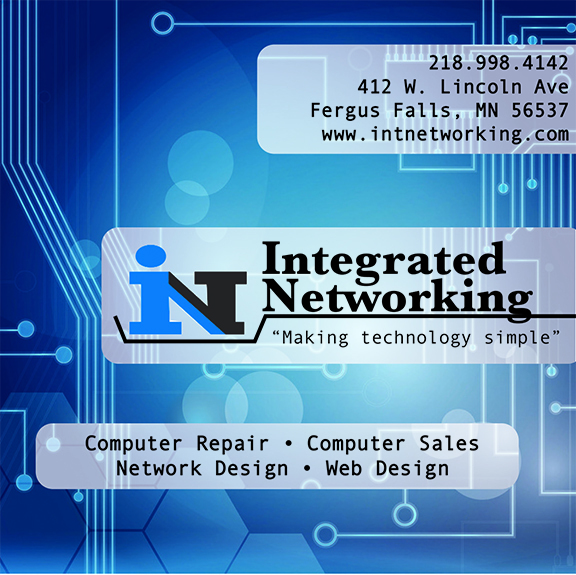 He is a graduate of Pelican Rapids High School, Fergus Falls M State, and North Dakota State University. He stressed the importance of agriculture to the Pelican Rapids area. “If the farmers are making money, or at least meeting their costs, the local economy thrives as well,” noted Scott. There are ten year-round employees at the elevator, with four workers added seasonally. Scott ran a lawn maintenance service for 11 years, starting as a teenager, so he has hands-on experience in small business. At Pelican Rapids High School, he was student manager of the basketball team. He attended M State-Fergus Falls community college for two years, then transferred to NDSU, where he was involved in both the Agronomy and Agri-business clubs.